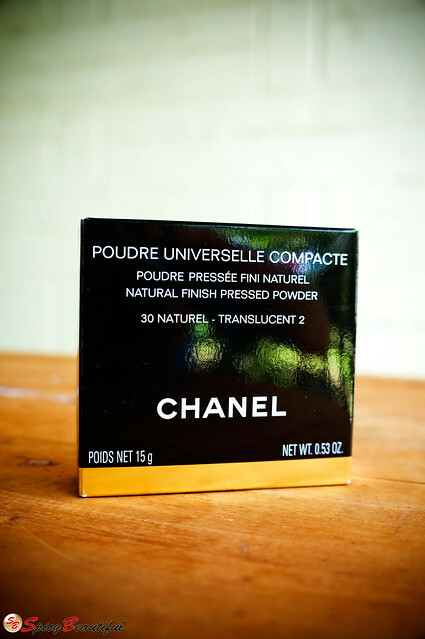 This powder clutches to its translucency claims with an incredible iron grip! I didn’t even bother to swatch it because it melds perfectly with the skin once its applied imparting no coverage or whatsoever. It was so translucent that I honestly think I can use the lightest shade (20 Clair) on my medium tan skin and get away with it. It gives my skin a natural matte finish that doesn’t look flat and chalky. There is no visible shimmer or sparkle on the powder but if you look closely at it against natural light, you will find that it has a faint pearlescent quality. I don’t feel the need to apply a finishing powder after setting my foundation with this because it already provides a very subtle luminosity that makes my skin look velvety smooth in all the right places. Overall, I’m really enjoying this product. 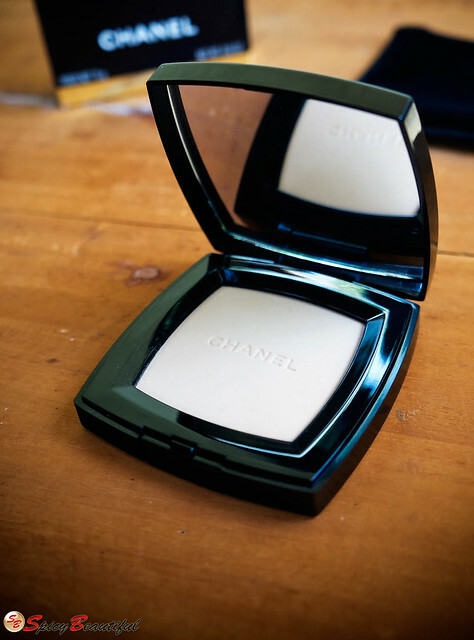 I usually get 6 reasonable hours of wear with my Chanel Vitalumiere Aqua foundation but I getter another hour or so when I set it with this incredibly soft and finely milled powder using my big, fluffy Real Techniques powder brush. You see the paper-thin powder puff that comes with the compact? At first I thought it was going to be completely useless but it turns out to be very useful for touch up while outside home. Just press it on the product and powder the face using gentle tapping motions and your makeup will be instantly revived. 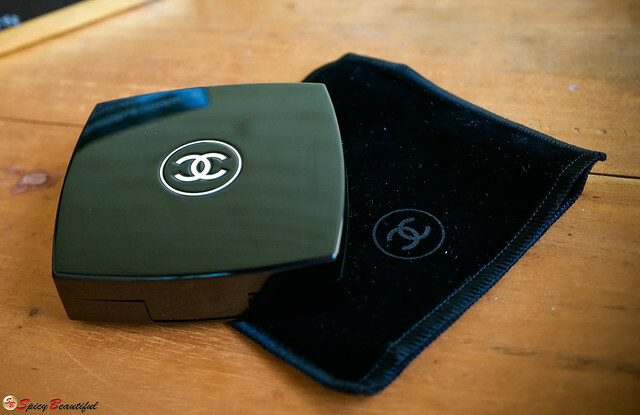 The Chanel Poudre Universelle Compacte Natural Finish Pressed Powder is housed in its iconic shiny black compact with the interlocking Cs on top. 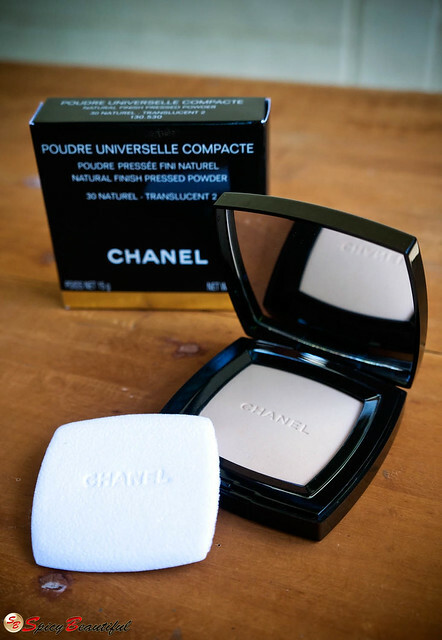 The powder has a very soft floral scent that is neither cloying nor overpowering. The mechanism to open and close the lid is quite easy to use. It also comes with a velvet pouch for protection against minor scratches and to prevent stray powder particles from getting all over your bag or purse. Thanks for the review! I'm going to check out this powder, since I haven't been able to find a setting powder that I'm completely happy with, and this one sounds amazing. I'm using Guerlain Meteorites to set my foundation and I love it. It prolongs the wear of my foundation, however, it makes my skin look greasy in the middle of the day. 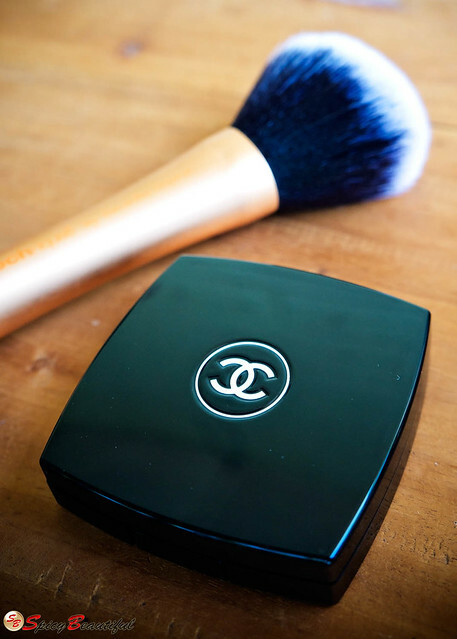 This Chanel setting powder sounds like a good product. I'll check it out on my next visit to Nordstrom. Thanks!